Murders don't happen in Kaufman County, Texas, a sleepy community where people raise their kids quietly and drive into Dallas for work and entertainment. In 2013, murder came to town when two professional prosecutors were slain in cold blood, simply for doing their jobs: one in broad daylight in plain view of the courthouse, and one in his home, along with his wife. 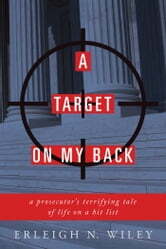 Eric Williams is responsible for all the bloodshed, and he has a list of who to kill next. 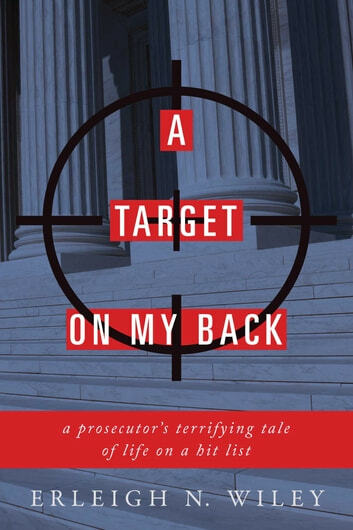 A Target on My Back is the first-person true story of Erleigh Wiley, an accomplished lawyer who accepted the job as the new district attorney, after the death of her predecessors, which turned her into the next target on the killer's hit list. This is her story of how she and her family endured the storm of the press, the array of Homeland Security agents assigned to protect them 24/7, and the weight of knowing she was someone's prey. Though fearing for her life, she served as the prosecution's final witness against the murderer, sealing his fate on death row. This chilling account of how she survived the hit list is a terrifying cat and mouse tale.